Last Friday arrived at Zara a remarkable collection, which has no parallel in history. In an interview for Liebster blogger award, I have confessed that my fashion favorite is Balmain. Who could resist the august collection of Zara (see pictures), which is almost his a carbon copy and hundredth of the cost.? So, I was ran into Zara, like the wind and had to see, had to try out, feast eyes. Top chiffon with skirt interwoven with pearls and beads, which for the coming collection did myself Olivier Rousteing, and who found inspiration in one of 65 Faberge eggs it is absolutely best choice for this season. Minulý piatok dorazila do Zary nevšedná kolekcia, ktorá v dejinách nemá obdoby. V interview pre Liebster blogger award som sa vyznala, že mojim fashion favoritom je Balmain. Kto by mohol odolať augustovej kolekcii Zary (viď obrázky), ktorá je takmer jeho vernou kópiou a za stotinu jeho ceny.? Takže som sa prihnala do Zary ako vietor a musela vidieť, musela vyskúšať, pokochať sa, popásť oči. Šifónový top so sukňou pretkaný perlami a perličkami, ktorý pre nadchádzajúcu kolekciu akoby ušil sám Olivier Rousteing, a ktorý našiel inšpiráciu v jednom zo 65 Fabergé eggs je absolútne najlepší nákup tejto sezóny. Přibarvím si vlasy a můžu i tuto barvu. Perličky miluju. Už to mají i v ČR? Díky. Musím se po návratu z dovolené kouknout. I'm obsessed with the Zara dress on top!! I'm not sure which country you're from, but is the collection only available there or will it be available in the US also? No wander , we we all are Zara -addicted ! Love Balmain, but will have to go with zara since i can afford it! Zara is just getting it SO RIGHT lately. Proud to be Spanish!! The skirt and the shirt of Zara are to die for! Woe ..love the fall collection and specially your choices.. Stunning profile. ano, urcite, ale ne ve vsech zara shopech. musis to obehat. najit zaru, ktera ma veskerou kolekci po cely rok. minimalne jedna se v cr najde. myslim, ze jedna je na prikopech, ktera by to mela mit. I love this collection, I think Zara really did amazing things this summer, and it seems it is keeping the good job for this fall. 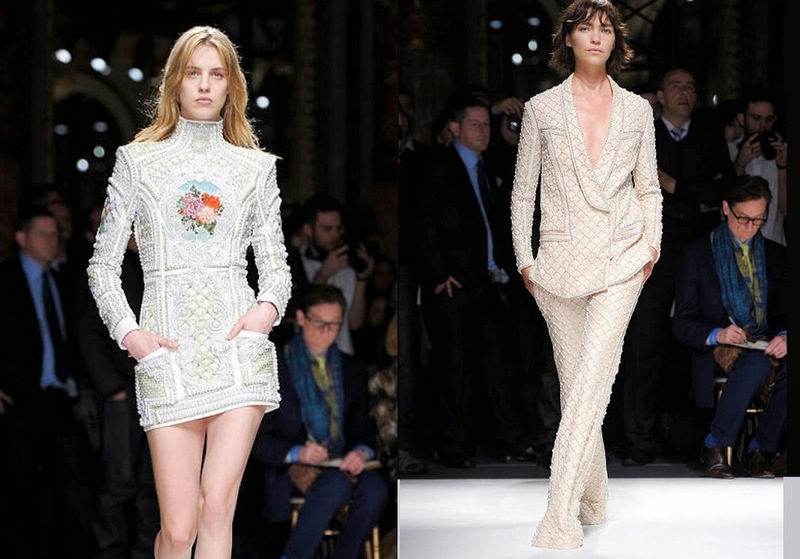 Loved the Balmain collection and Zara's pieces for aw are simply stunning! I really, really love the Zara versions. In some cases I even prefer the inspired to the original like I do here!